Directed by the U.S. Supreme Court to reconsider its rulings upholding the death sentences imposed upon four Alabama defendants, the Alabama Court of Criminal Appeals affirmed three of the death sentences on December 16. The state court ruled that the death sentences imposed upon Ronnie Kirksey, Corey Wimbley, and Ryan Gerald Russell do not violate the Supreme Court's January 16, 2016 decision in Hurst v. Florida. It has not yet ruled on the constitutionality of the death sentence imposed on Bart Johnson in the fourth case. In Hurst, the Supreme Court ruled that “[t]he Sixth Amendment requires a jury, not a judge, to find each fact necessary to impose a sentence of death. A jury’s mere recommendation is not enough.” In that case, the Court struck down Florida's capital sentencing law, ruling that it unconstitutionally reserved for the judge, rather than the jury, the ultimate power to decide whether the prosecution had proven the existence of aggravating circumstances that would make the defendant eligible for the death penalty. In late January, three Justices noted in connection with a decision denying a stay of execution to Alabama death-row prisoner Christopher Brooks that Hurst had overruled the decisions upon which the Court had relied in previously upholding Alabama's judge-sentencing statute. The Court later vacated the Alabama court's decisions upholding the four death sentences, sending them back to the Alabama courts for reconsideration in light of the Hurst decision. 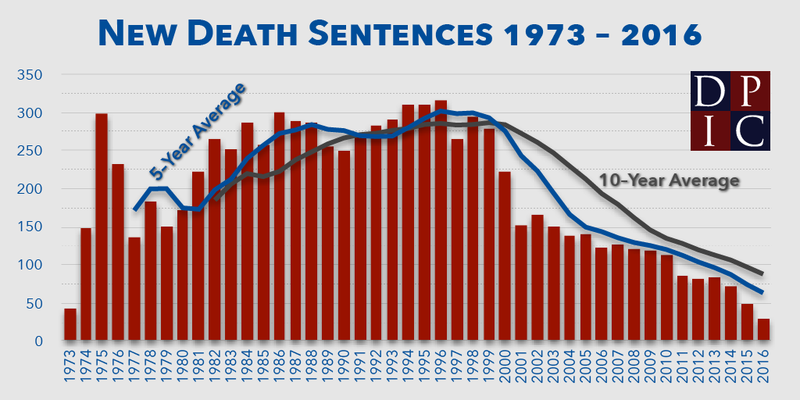 In August and October, the Delaware and Florida Supreme Courts ruled that other portions of their statutes that permitted judges to override jury recommendations of a life sentence or impose death sentences after a non-unanimous jury sentencing recommendation violated Hurst, leaving Alabama as the only state that continues to allow either practice. 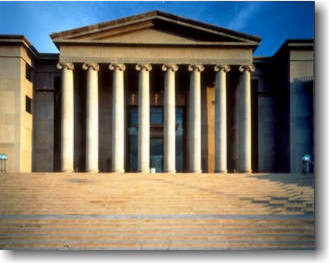 In issuing its opinions, the Alabama Court of Criminal Appeals distinguished its law from the Florida statute the Supreme Court declared unconstitutional in Hurst, saying that as part of the decision finding a defendant guilty of capital murder, Alabama juries already unanimously find facts that prove a penalty-phase aggravating circumstance and make the defendant eligible for the death penalty. Without addressing the rulings of the Delaware and Florida state courts, the court of appeals upheld Alabama's provisions allowing non-unanimous juries to recommend a death sentence and permitting judges to override a jury's recommendation of a life sentence. The state court said that the weighing of aggravating and mitigating circumstances is not a finding of fact, so Hurst does not apply to the jury's sentencing recommendation or the sentence ultimately imposed by the judge. It also noted that in Kirksey's and Russell's cases, the sentencing juries had unanimously recommended death. In the span of one week, the U.S. Supreme Court declined to review petitions from six death row prisoners, denying them relief in their cases. The petitioners raised issues related to DNA procedures, conflict of counsel, a disputed guilty plea, juror bias, judicial override, and a previously botched execution attempt. In two of the cases, the Court allowed executions to proceed in Georgia and Alabama. The case of Ronald Smith left the Court deadlocked 4-4, with enough votes to grant review in his case, but not enough to halt his execution. On December 12, as the Court denied review in four other death penalty cases, Justice Stephen Breyer (pictured) authored a written dissent in the case of Florida death row prisoner Henry Perry Sireci indicating that he would have granted review to Sireci, Smith, and Ohio death row prisoner Rommell Broom to consider the constitutionality of the death penalty in the United States. Breyer wrote: "Individuals who are executed are not the 'worst of the worst' but, rather, are individuals chosen at random on the basis, perhaps of geography, perhaps of the views of individual prosecutors, or still worse on the basis of race. The time has come for this court to reconsider the constitutionality of the death penalty." 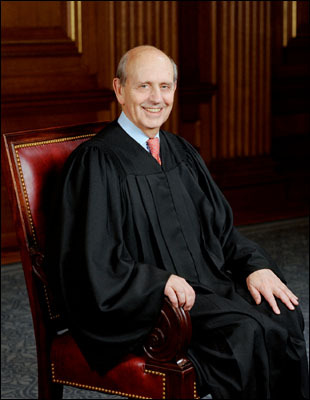 Breyer previously called for a consideration of capital punishment's constitutionality in his dissent in Glossip v. Gross, which was joined by Justice Ruth Bader Ginsburg. Justice Kagan also noted her dissent from the denial of certiorari in Broom's case. In 2009, Ohio attempted to execute Broom, but the execution was halted after two hours of repeated painful attempts to establish IV access failed, including striking Broom's bone with the execution needle. In his dissent, Justice Breyer noted that Sireci has been on death row "under threat of execution for 40 years. When he was first sentenced to death, the Berlin Wall stood firmly in place. Saigon had just fallen." Referencing Broom's petition, Breyer wrote that Sireci's was not "the only case during the last few months in which the Court has received, but then rejected, a petition to review an execution taking place in what [he] would consider especially cruel and unusual circumstances." 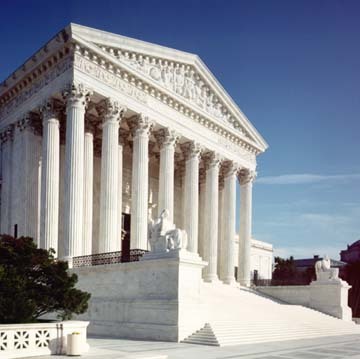 During argument November 29 in the case of Moore v. Texas, the U.S. Supreme Court expressed skepticism about Texas' idiosyncratic method of deciding whether a capital defendant has Intellectual Disability and is therefore ineligible for the death penalty. 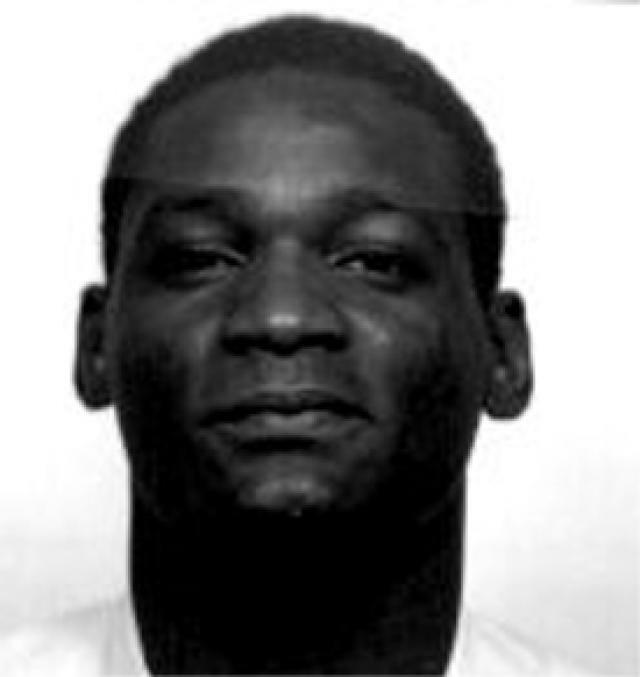 A trial court, applying the criteria for Intellectual Disability established by the medical community, found that Bobby James Moore (pictured) was not subject to the death penalty. However, the Texas Court of Criminal Appeal reversed that ruling in 2015, saying that Moore did not qualify as intellectually disabled under Texas' “Briseño factors” (named after the Texas court decision that announced them), an unscientific seven-pronged test based in part on the character Lennie Smalls from John Steinbeck's "Of Mice and Men." Moore's attorney, Clifford Sloan, argued that "Texas is very extreme and stands alone" in rejecting clinical standards used by the medical community to determine Intellectual Disability and replacing them with “nonclinical” and “anti-scientific” criteria. Five justices seemed sympathetic to Moore's case, raising concerns about the arbitrariness of allowing states to set their own criteria for deciding who is intellectually disabled. Justice Ruth Bader Ginsburg said, "You're opening the door to inconsistent results ... something that we try to prevent from happening in capital cases." Justice Stephen Breyer said that, without nationwide uniformity, there will be "disparities and uncertainties" and "people who are alike treated differently." Justices Elena Kagan and Sonya Sotomayor questioned whether application of the Briseño factors excluded some individuals whom clinicians would regard as being intellectually disabled. Justice Anthony Kennedy asked Texas Solicitor General Scott Keller whether the purpose of Texas' system was to "really limit" the definition of intellectual disability. When Keller said that was not the intent, Kennedy asked, "But isn't that the effect?" The Court is expected to rule on the case by June 2017. The U.S. Supreme Court has stayed the execution of Tommy Arthur, who was scheduled to be executed in Alabama at 6:00 p.m. Central Time on November 3. Around 10:30 p.m. Eastern, the Court first issued a temporary stay of execution through Circuit Justice Clarence Thomas "pending further order" of the Court. Anticipating a second ruling by the Court, Alabama continued preparations for the execution. Then, just before midnight in Washington, the Court issued a full stay to permit it to consider a petition for writ of certiorari Arthur had filed earlier in the day. Arthur's lawyers had filed two stay applications and petitions for writs of certiorari. One petition sought review of the Alabama Supreme Court's summary dismissal of his challenge to the constitutionality of Alabama's death penalty statute under the Supreme Court's January 2016 decision in Hurst v. Florida. Hurst struck down Florida's death penalty statute because it required a judge, rather than a jury, to find critical facts that were a prerequisite to imposing the death penalty, and Arthur had argued that Alabama's statute suffered from the same defect. The other petition sought review of the denial of Arthur's lethal-injection challenge by a divided 2-1 panel of the U.S. Court of Appeals for the Eleventh Circuit. In its opinion, that court had ruled that Arthur had not met the burden imposed by the Supreme Court's 2015 decision in Glossip v. Gross of showing that an alternative method of execution was available to Alabama because the firing squad -- his proposed alternative -- was not "readily available" under Alabama law. The dissent wrote: "By misreading an Alabama statute, the Majority creates a conflict between the claim and state law. The Majority then resolves that faux conflict in favor of state law, taking the unprecedented step of ascribing to states the power to legislatively foreclose constitutional relief. These missteps nullify countless prisoners’ Eighth Amendment right to a humane execution." The Supreme Court granted Mr. Arthur's stay application in the lethal-injection case. Four Justices voted to stay the execution, with Chief Justice Roberts providing the fifth vote "as a courtesy." Justices Thomas and Alito dissented. Without the time constraints imposed by the death warrant, the Justices can now consider whether to grant review in the case. This was the seventh time Mr. Arthur's execution has been stayed. BOOKS: "Courting Death: The Supreme Court and Capital Punishment"
Courting Death: The Supreme Court and Capital Punishment by Harvard Law Professor Carol S. Steiker and University of Texas Law Professor Jordan M. Steiker examines the U.S. Supreme Court's "extensive—and ultimately failed—effort to reform and rationalize the practice of capital punishment in the United States through top-down, constitutional regulation." The authors argue that significant constitutional flaws persist in the death penalty system despite the Court's attempts to regulate it, and present the case for its abolition in the near future. In Harvard Magazine, Lincoln Caplan called Courting Death, "the most important book about the death penalty in the United States—not only within the past generation but, arguably, ever—because of its potential to change how the country thinks about capital punishment." The book explores the arbitrariness of the modern death penalty system, including racial and geographic disparities, and the Court's failure to adequately address those problems. 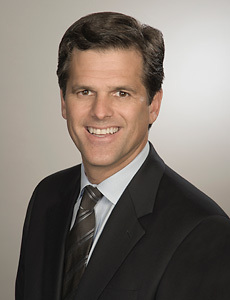 In a review of the book for The Huffington Post, Michael Meltsner, a law professor at Northeastern University School of Law, describes the Steikers' concluding argument, saying, "After taking the reader through the Court’s failed project to rationally regulate the death penalty, the Steikers set out 'A Blueprint for Constitutional Abolition,' a path they believe builds, on precedent, takes seriously language used by Justice Anthony Kennedy, the key swing vote in many previous decisions narrowing the death penalty, and protects the Court from the another backlash of the sort that occurred after the Furman decision." The U.S. Supreme Court has reversed a decision of the Oklahoma Court of Criminal Appeals that affirmed the death sentence imposed on Shaun Michael Bosse. In a unanimous per curiam decision issued October 11, the Court held that Oklahoma prosecutors had improperly presented testimony from three members of the victims' families asking the jury to sentence Bosse to death. The Court had ruled in 1987 in Booth v. Maryland that the use of victim-impact testimony in determining whether a capital defendant would be sentenced to death violated the 8th Amendment. Four years later, after a personnel change on the Court, it retreated from part of that decision, holding in Payne v. Tennessee that the presentation of testimony relating to the effect of the victim's death on his or her loved ones was constitutionally permissible. The Oklahoma Court of Criminal Appeals then ruled that Payne had implicitly overruled Booth in its entirety, permitting Oklahoma prosecutors to present highly emotional pleas from victims' family members asking juries to impose the death penalty. Oklahoma was the only jurisdiction in the country to interpret Payne in that manner, and Bosse's petition for review argued that "Oklahoma stands alone" and that its "outlier" practice was unconstitutional. The Supreme Court summarily reversed the Oklahoma court, writing that it has never overruled the portion of Booth that prohibits victims' family testimony offering "opinions about the crime, the defendant, and the appro­priate punishment." The Court further declared that its decision in Booth "remain[s] binding prec­edent until we see fit to reconsider [it]." While the Bosse decision prevents Oklahoma prosecutors from presenting this type of testimony in the future, its impact on the numerous other cases in which Oklahoma prosecutors presented this testimony is less clear. The Court remanded Bosse's case to the Oklahoma Court of Criminal Appeals, which may consider whether the improper testimony constituted harmless error. Similar harmless error review may be required in other Oklahoma cases. In a decision that could affect an estimated 25 Arizona death penalty cases, the U.S. Supreme Court has denied Arizona's request to review a federal appeals court decision declaring unconstitutional an evidentiary rule that limited the types of mitigating evidence capital defendants could present in their cases. The ruling in Ryan v. McKinney let stand a 6-5 decision of the U.S. Court of Appeals for the Ninth Circuit in December 2015 that had reversed James McKinney's 1993 death sentence because the state's so-called "causal nexus" rule unconstitutionally excluded evidence about McKinney's abusive childhood and post-traumatic stress disorder. The Court's ruling could have implications for many of the prisoners on Arizona's death row. The causal nexus rule, which required that mitigating evidence be directly linked to the crime before it could be considered as grounds to spare a defendant's life, had been place in Arizona from the late 1980s until 2005. In 1978, the Supreme Court ruled in Lockett v. Ohio that states could not bar defendants from presenting mitigating evidence relating to their character, background, or record or the circumstances of the case as reasons to impose a life sentence. Four years later, in Eddings v. Oklahoma, it held that states could not require that evidence excuse the murder before it could be considered mitigating. Then, in 2004, in Tennard v. Dretke, it reiterated that any requirement that mitigating evidence have a direct causal link to the offense violated the Eighth Amendment. By denying review, the Supreme Court paved the way for other prisoners whose sentencing was affected by the causal nexus rule to challenge their death sentences. In a dissent to the Ninth Circuit decision, Judge Carlos Bea wrote that the majority decision, "calls into question every single death sentence imposed in Arizona between 1989 and 2005." McKinney's case will return to state court within 120 days for further proceedings, according to the Arizona Attorney General's Office. His re-sentencing must now be done by a jury because the U.S. Supreme Court 2002 decision in Ring v. Arizona ended the state's practice of judges imposing death sentences.